This is honestly one of the easiest dishes I have ever made – measure, blend and top. It is delicious, in fact I surprised myself with how good it tasted, and it can be ready in a flash. 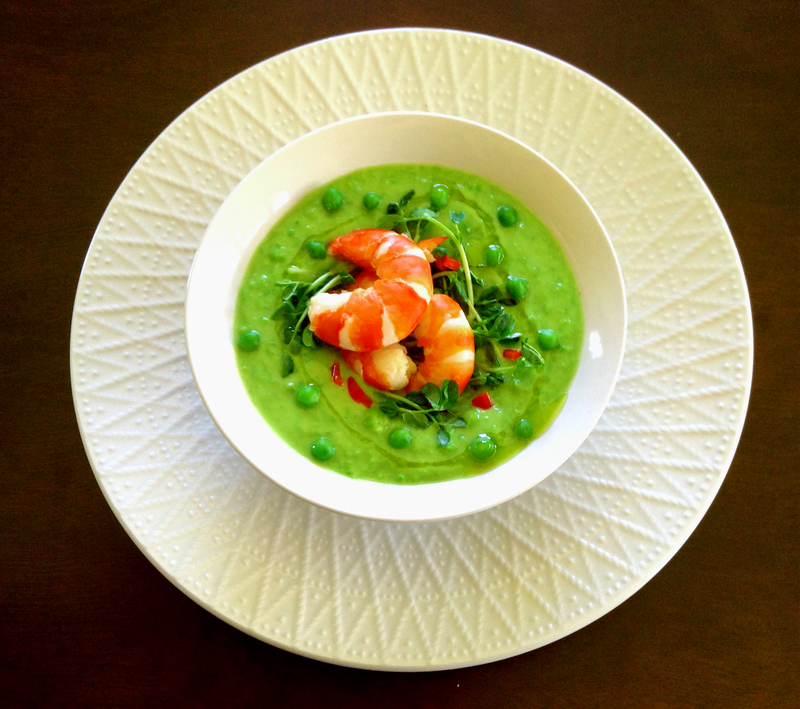 The vibrant green of the gazpacho against the red of the prawns gives this dish instant visual appeal which means it’s a sure thing for summer get together’s, parties or Christmas do’s. Oil olive – to serve, if desired. Place McCain Frozen peas, garlic, vegetable stock, avocado and lemon juice in a large bowl and add in batches to a blender blitzing until smooth. Stir through the thickened cream and season with salt and pepper. 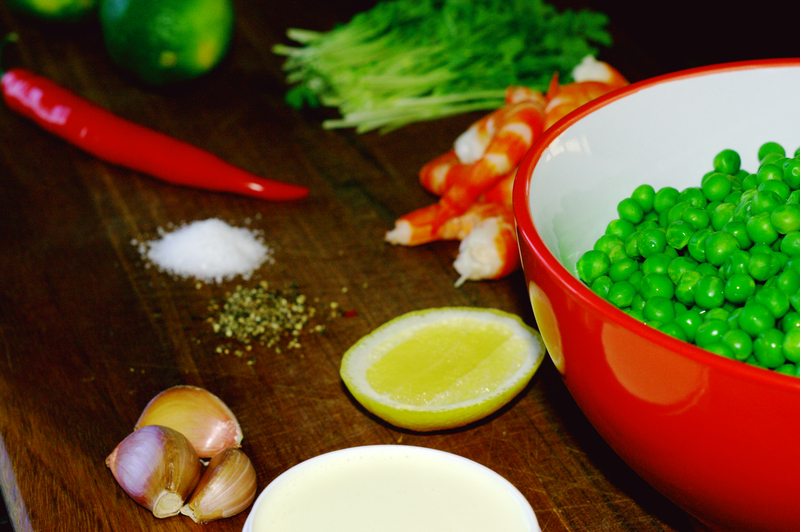 Place the prawns, chilli, lime and pea shoots in a small bowl and toss to coat. 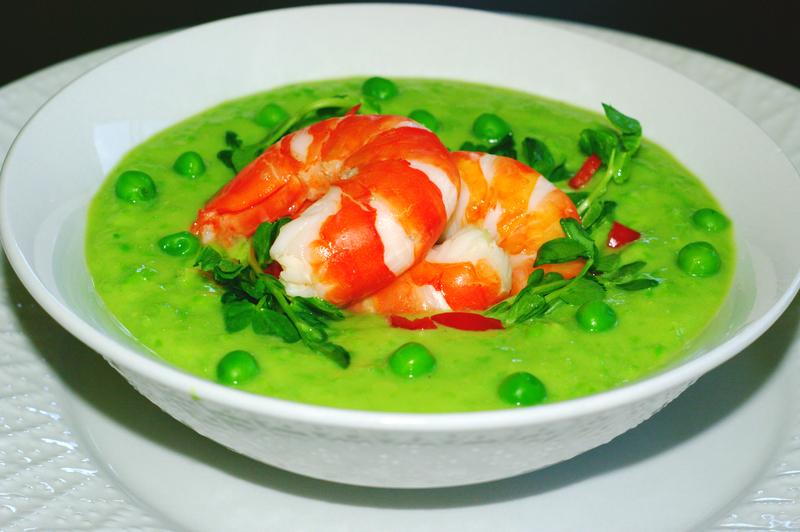 Divide the gazpacho evenly among bowls, top with prawn mix, scatter with remaining McCain Frozen Peas and drizzle with olive oil, if desired. Serve.